Issue XVII Vol. 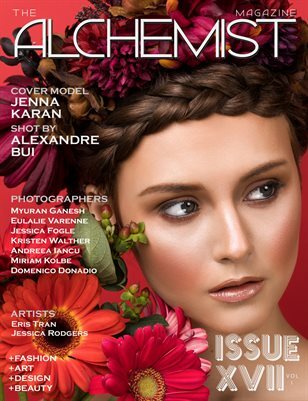 I of The Alchemist Magazine features model Jenna Karan on the cover photographed by Alexandre Bui. The issue also features photography editorials by: Myuran Ganesh, Eulalie Varenne, Jessica Fogle, Kristen Walther, Andreea Iancu, Miriam Kolbe and Domenico Donadio. Featured Artists: Eris Tran and Jessica Rodgers.